Asli Aydıntaşbaş is a senior policy fellow with the Wider Europe programme at the European Council on Foreign Relation. Her topics of focus include Turkish foreign policy and external ramifications of its domestic politics. She joined ECFR after a lengthy career in journalism; most recently she was a columnist at Milliyet (2009-2015) and previously a commentator on regional issues in international publications and networks. Aydintasbas' columns not only delve into issues in Turkish foreign policy vis a vis the Middle East, but also probe issues of freedom and democratization in Turkey. She has written on these issues for publications such as the International Herald Tribune, The Wall Street Journal, the New York Times, Forbes, Politico, and Newsweek. Aydıntaşbaş hosted the popular daily television programme Karşı Gündem on CNN Türk from 2013 to 2014. Prior to joining Milliyet, she served as a Washington correspondent and later the Ankara bureau chief for Sabah, one of Turkey’s leading newspapers. She covered the Clinton Administration, the United Nations, the Bush Administration, and the Iraq War in 1997-2004 as a Washington and New York correspondent for NTV and Radikal. Aydıntaşbaş is a graduate of Bates College, where she was the recipient of Maung Maung Gyi Award for Excellence in International Relations and holds a MA in Journalism and Middle East Studies from New York University. She is based in Istanbul but travels regularly throughout the Middle East and Europe. The Turkish-US relationship is either experiencing its first serious fissure since 1975, or just another bump in the road. No one can be sure. The four power audits show that Europeans, particularly when working together, retain the capacity to cooperate and compete effectively with all these powers. But they also show that, in each case, Europe is failing to do so. Mark Leonard speaks with Asli Aydıntaşbaş about why Erdoğan called early elections for this summer, and the new European Commission’s accession report. The survey reveals the varying motivations of the 28 EU member states for keeping Turkey close -- but not too close. Despite the vote in the European Parliament to “freeze” Turkey’s EU accession talks, there is still a chance to save the troubled EU-Turkey relationship. The growing friendship between Russia and Turkey in recent years was a problem for Europe. But their recent bust-up is an even bigger one. What Turkey's intervention means for Syria, the Kurds, and Ankara. Turkey seems finally to be settling for a second-tier “privileged partnership” with Europe. Mark Leonard speaks with Asli Aydintasbas, Jeremy Shapiro and Julien Barnes-Dacy about what effect the incident might have on relations between Saudi Arabia, the US and Turkey. The podcast was recorded on the 16 October 2018. The Idlib crisis – Can Turkey and Europe avert disaster? Mark Leonard examines the looming Syrian-Russian military action in Idlib in discussion with ECFR experts Asli Aydıntaşbaş, Julien Barnes-Dacey, and Almut Möller. What do Turks and Europeans make of the possible humanitarian and geopolitical consequences? The podcast was recorded on 12 September. Turkey's financial and economic crisis: A bail-out? Mark Leonard speaks with Oksana Antonenko, Director for Global Political risk Analysis at Control Risks, and ECFR Turkey experts Asli Aydintasbas and Almut Moeller about the current crisis in Turkey. The podcast was recorded on 31 August 2018. Podcast "Stimmenfang" - Sachsen, wir müssen reden! Chemical weapons attack in Syria: What next? Mark Leonard speaks with ECFR experts Asli Aydintasbas, Kadri Liik, Julien Barnes-Dacey, and Manuel Lafont Rapnouil about how the international community might respond. Mark Leonard speaks with Asli Aydıntaşbaş, Kadri Liik, François Godement and Jeremy Shapiro about Europe’s relations with the US, China, Russia and Turkey. The podcast was recorded on the 6 March 2018. Mark Leonard, Asli Aydintasbas, Kadri Liik and Jeremy Shapiro, discuss Turkey's offensive near the Syria-Turkey boarder, the future of US-Turkey relations and Russia's role in the region. The podcast was recorded on 23 January 2018. An op-ed on the turbulent US-Turkey relationsship in a new world order by Asli Aydintasbas and Jeremy Shapiro. Clarín quotes Asli Aydintasbas about how Erdogan is trying to undermine Mohammed bin Salman by linking him to the murder of Jamal Khashoggi. Asli Aydintasbas quoted by the New York Times on the Erdogan's pressure on Saudi Arabia in contrast to Trump. Asli Aydintasbas quotes Jeremy Shapiro in the Washington Post regarding the US midterm elections and it's affect on the rest of the World. 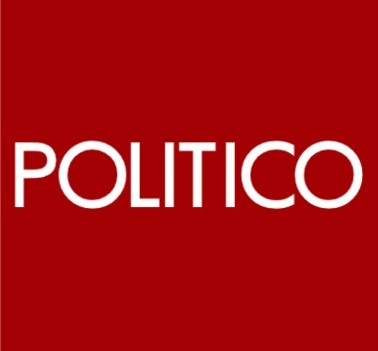 Asli Aydintasbas quoted in Politico on the Turkish strategy for Saudi Arabia following the disappearance of Jamal Khashoggi. Asli Aydintasbas in the Washington Post on Turkey's investigation into the disappearance of Jamal Khashoggi. The New York Time quotes Alsi Aydintasbas concerning the leaks in Turkey following the Jamal Khashoggi disappearance.